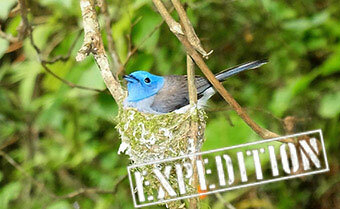 Nature Expeditions :: Articles :: What's in Phil's wildlife photography kit bag? So this is my nature photography kit. You’re going to have to read through my complete thought process here to fully understand why I’ve chosen these lenses. I obviously start with the lenses, as the glass is by far the most important equipment in photography. My kit is emphasised in bold type. I also list everything at the bottom of the page. I don’t like to have to carry too much kit. I don’t like to carry too much anything! Carrying less is always my first priority when hiking out. Although not taking the picture because I left my kit behind defeats the objective, I therefore carry general purpose zooms rather than a sack full of primes. In the old days we always considered a prime lens to be sharper than a zoom lens, sharpness is no longer so definitive in newer Canon EF L-series primes and zooms. There are other reasons I’d want to use primes though, they are usually faster (have a wider aperture) than their zoom counterparts allowing action-stopping shutter speeds to be used in low-light situations, also allowing excellent subject isolation by blurring the distracting background. I’ll come back to my prime lenses a little later. I choose Canon EF L-series zooms for their versatility, quality, and because of their weather sealing (so important when out in the wild). Image stabilization is very important for me, which rules out the Canon EF 24-70mm f/2.8L II USM lens, its price and 82mm filter also deters me from this, but I’m sacrificing the fast f/2.8 by not choosing that. So for my general purpose zoom I could have chosen the Canon EF 24-70mm f/4L IS USM lens but I chose the Canon EF 24-105mm f/4L IS USM as my primary walk-around, travel and general purpose lens. These are both great lenses and for most, there is no wrong decision to be made here. But for wildlife, having the extra 35mm of focal length range on the long end is the selling point for me, I have this 35mm overlap in my Canon EF 70-200mm f/2.8L IS II USM (The Ultimate Zoom Lens), but overlap is nice to have and means I don’t have to change lenses at 70mm to the much heavier EF 70-200mm f/2.8L IS II USM. For my telephoto primes I use the Canon EF 400mm f/4 DO IS USM lens mostly because it is an amazing performer. The extreme light weight of this lens (relative to its focal length and aperture) allows easy hand-holding, and reduces fatigue when carrying for long periods of time. 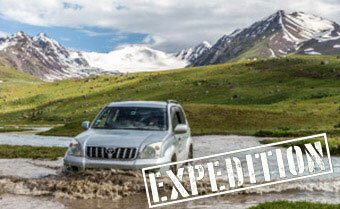 I often completely remove the mount and hood to make it even lighter (lens-flare doesn't occur). My biggest lens is the Canon EF 600mm f/4L IS II USM. The 600mm f/4L IS II with the 1.4x extender mounted behind it has slightly better image quality, has a slightly longer focal length, is slightly less expensive, is slightly lighter, has a much shorter minimum focal distance and higher MM than the Canon EF 800mm f/5.6L IS USM lens, so why buy the 800mm! As I’ve just mentioned I use the Canon EF 1.4x III Extender. Use of the 1.4x creates a still tiny and ultralight 560mm f/5.6 IS when mounted on my Canon EF 400mm f/4 DO IS USM lens. Furthermore, I prefer to use my big lenses on my APS-C/1.6x sensor format Canon EOS 70D DSLR camera rather than on my Canon EOS 5D Mark IV with full-frame sensor. With my Canon EOS 70D my EF 400mm f/4 DO IS USM lens becomes a 640mm f/4 IS with a 20.2 megapixel sensor. To get that same magnification using my Canon EOS 5D Mark IV 30.4 MP sensor I would have to crop it later in Photoshop to leave me with a similar-looking image but made of only 13 megapixels. Of-course I can use my 1.4x extender mounted on my Canon EOS 70D with my EF 400mm f/4 DO IS USM lens which then becomes a 896mm f/5.6 IS with a 20.2 megapixel sensor. 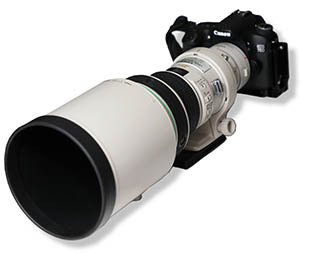 The Canon EF 600mm f/4L IS II USM is the longest focal length Canon lens available with an f/4 max aperture. And the only longer Canon lens is the Canon EF 800mm f/5.6L IS USM lens. But as I’ve already mentioned with my Canon Extender EF 1.4x III attached, the 600 L IS II even beats this lens at an equivalent f/5.6 max aperture focal length of 840mm. When I use the 600mm on my Canon EOS 70D with its APS-C censor I get 960mm framing equivalency f4. Add the 1.4 extender and I get a whopping 1344mm f5.6 with 20.2 megapixels. For my smaller focal length primes I am not going to waste my time and money buying lenses that are not sharp enough, and I also demand action-stopping shutter speeds in low-light situations. So for these I use Sigma ART lenses simply because they are sharper, have f/1.4 apertures, and best-in-class image quality. They are not only sharper than Canon EF L-series primes they are much cheaper. The only sharper lenses than these are the Zeiss Otus lenses but they’re much more expensive and are only slightly sharper at f/1.4. It’s not a no-brainer though! Canon EF L-series lenses are much smaller, lighter, and have weather sealing. Some even have image stabilization. All of those things really matter to me and for those reasons I may yet purchase a Canon EF L-series lens as a landscape lens to carry in the mountains. 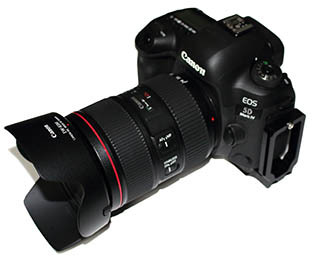 For that the only 24mm prime lens with image stabilization is the expensive Canon EF 24mm f/2.8L IS USM lens. But of-course I don’t need the image stabilization for landscapes taken on a tripod. And I get my 24mm in my Canon EF 24-105mm f/4L IS USM and having a tele-zoom for landscapes is invaluable. I’ll also mention that if you’re only doing landscape and not wildlife photography then you can save a lot of money by not buying the much more expensive faster lenses. I obviously use my lenses for both landscape and wildlife photography. Back to primes. So for landscape, architectural, interior, night sky, and general wide-angle photography and also videography I use the Sigma 24mm f/1.4 DG HSM Art lens. Compared to the next-fastest Canon f/2.8 24mm lens options the f/1.4 aperture allows 4x as much light to reach the sensor, permitting subject and camera-shake-stopping fast shutter speeds even in low light and providing subject-isolating shallow depth of field. 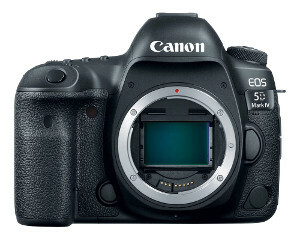 When used on my ASP-C/1.6x sensor Canon EOS 70D DSLR this lens' angle of view is similar to that of a 38.4mm lens on my Canon EOS 5D Mark IV 30.4 MP full-frame sensor, that’s quite a standard lens for a crop-sensor, which is sometimes handy. Nevertheless I tend to keep my crop-sensor Canon EOS 70D for my telephoto lenses, and predominantly use these sharper lenses on my Canon EOS 5D Mark IV to make good use of its 30.4 MP full-frame sensor. My other Sigma prime lens is the Sigma 50mm f/1.4 DG HSM Art lens. Simply because I sometimes want a pin-sharp ‘Normal’ focal length lens, which this is when mounted on my Canon EOS 5D Mark IV full-frame body. Don’t use it much though, mainly because I don’t want to carry it. It may be an unjustified purchase. When mounted on my Canon EOS 70D APS-C/1.6x body, a 50mm lens delivers an angle of view equivalent to an 80mm lens on a full frame body, which becomes a nice portrait lens. I generally carry both of those full-frame and half-frame bodies with me so with these lenses I have all the focal lengths I need. Like I said these Sigma ART lenses are very large and heavy, they are also not weather sealed, so I only usually carry them out when I know I might need them. I don’t yet have a macro lens, I have always said I’d buy one, but I fear that even if I did I wouldn’t want to carry the extra weight. If I were to get one it would be the Canon EF 100mm f/2.8L IS USM Macro lens. But guess what! The one thing you don’t need to buy for macro photography is a macro lens! I use Canon EF AF-compatible extension tubes with my Sigma 50mm f/1.4 DG HSM Art lens, which is pin-sharp in the centre where it’s needed. I use the tubes with the other lenses too. When used on my Canon EF 70-200mm f/2.8L IS II USM tele-zoom I can achieve near perfect close-ups which have depth of field, so getting whole insects and the like in focus in one rapid shot. Not as nicely as focus stacking achieves but focus stacking can’t be done on moving subjects whereas this method can. Whilst the Canon EF 70-200mm f/2.8L IS II USM + extension tube combination isn’t a true macro with a 1:1 reproduction ratio, it’s an excellent lens for macro insect and flower photography. All of my lenses use 77mm screw-on filters (other than the 400mm and 600mm telephotos which use 52mm drop-in filters at the back), and I use Hoya 77mm HD UV filters on the front of each to weather seal them. These have ultra thin, hard glass, which has self-cleaning, aqua-phobic coatings. I carry a single Hoya 77mm Circular Polarizing CPL HD Digital Glass filter, and 77mm drop-in neutral density and graduated filters on the front, which I share between all lenses. 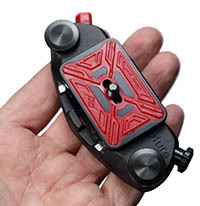 Before I get on to my other kit I especially want to mention my Peak Design Capture Camera Clip with PRO Plate Pro-Quality Camera Carrying Solution. I actually use two of these at the same time, one on my hip the other on my backpack’s shoulder strap. At £70 each you might say it’s not worth it, but I can assure you it is. Over the years I’ve tried all types of camera slings and quick-release carrying devices, none have been very successful. The Capture Camera Clip by Peak Design is the only real choice in my opinion to carry a camera, even with my 400mm attached for quick deployment in the field. The cheapest prices I have found are £65 at PARKCameras. Other kit I usually carry includes a Canon angle finder for when using cameras in awkward places, Canon Speedlite 430EX III-RT Flashes + mounting clamps, a waterproof anti-shock memory card storage case containing several Sandisk and Lexar SD cards & Compact Flash cards, a wallet containing spare camera batteries, cable releases and remote controls, a beanbag, a microphone, a car window mounting clamp for tripod-heads, a Benro Professional Dual Action Ballhead V2 I actually ordered a V3 from Benro in China but they sent the V2 in error, when I tried it I decided I liked it better than the heavier V3. I also have a Benro GH2C Carbon Fibre Gimbal for use with the 600mm, a 5 foot Innorel RT80C Carbon Fibre Tripod with angle adjusting legs and additional quick-adjust ball-bowl, and an Andoer L200 Arca Swiss Telephoto Lens Support which I seldom carry unless I need it. As you’ve read in amongst the above paragraphs I carry two camera bodies - the Canon EOS 5D Mark IV for all my general photography and landscapes, and the Canon EOS 70D for wildlife photography using my big lenses. Canon have now replaced the 70D with the 80D but I feel the upgrade is not worth me changing to that. 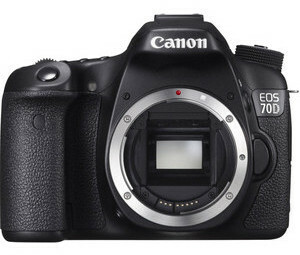 I have considered replacing my Canon EOS 70D with the Canon EOS 7D Mark II… You can read this decision process in another article - Should I replace my Canon EOS 70D with the Canon EOS 7D Mark II? The latest addition to my camera kit is the Mavic Pro drone. I've wanted a drone to carry on my tours for some time now, but up until now they've all been awkward sizes and not practical to carry. They've also seemed to be somewhat problematic and difficult. I've done years of research into this and I decided that I'm not going to invest in one of these until someone produces a quality, reliable folding drone with decent battery-life. Well that drone is now here with the new Mavic Pro from DJI. The specifications for this are very impressive - The rotor-arms fold in for carriage making the folded dimensions: 83mm x 83mm x 198mm and weighing only 748g. It includes obstacle avoidance intelligence, a 12 MP 4K Camera mounted on a completely stabilized 3-axis gimbal, and 27 minutes flight-time per battery. I bought the Mavic Pro Fly More Combo which includes 3 batteries, a car charger and a carry case. 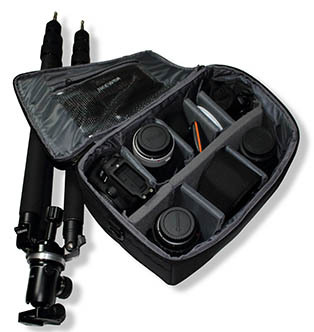 This topic has all been about the kit that I carry in my camera bag. I haven't mentioned my camera bag itself. That’s because I don’t really have one! As you know I’m a mountain guide and therefore I have specialist back-packs that I use on the mountain with other kit in them and I have no place for a dedicated camera bag. All of my mountaineering back-packs include a front access door so what I usually do is use a partition padded insert bag accessed through that front door. That essentially makes my back-pack into a camera bag. But as I’ve said throughout I really don’t like to carry too much weight and so I quite often use even smaller padded insert bags just for a couple or three items. It’s all dependent on what I need to do. That might seem to you like a lot of kit for someone who hates carrying too much. Well this is the list of photography kit that I would take abroad on a shoot, not what I would be dragging up a mountain or through a jungle. I think too many cameras and lenses can get in the way of picture taking. Like I've tried to say a few times throughout this article - I carry only what I think I'll need on the day. Yes! Quite often I wished I hadn't left something behind. But you have to improvise with what you have with you, which is more often than not the EF 400mm f/4 DO IS USM or EF 70-200mm f/2.8L IS II USM on the Canon EOS 70D body and maybe the 24-105mm f/4L IS USM on the EOS 5D Mark IV body. I'd obviously never hike around with the heavy 600mm, that would only be used close to the ship or car or in a hide, and typically used with the gimbal on the tripod. I often hike without a tripod too. I've experimented with a smaller tripod, which is the subject of another article - Trying to make a light-weight travel tripod.